One of the first and most important things you need to do to begin your adrenal fatigue recovery is sleep. 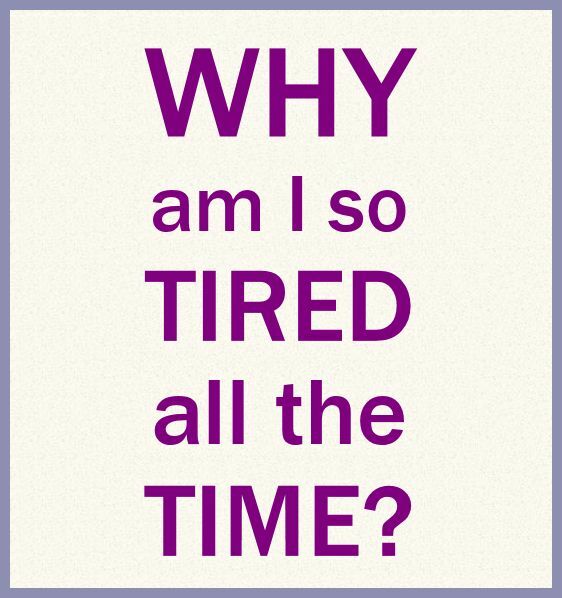 Unfortunately, sleep is usually something we have a hard time doing when we have adrenal fatigue. Or at least, sleeping at the right times! Give yourself permission to sleep. Even in the middle of the day. (Shocking, I know! What will people think? ) When we force ourselves to push through that groggy afternoon slump time, it triggers a stress response from our adrenals, forcing them to produce more cortisol when what they are trying to tell us is that they need a break! Horizontal rest, even if it's only for 15 minutes, is better for your adrenals than vertical. Don't ask me how they know, but they do! So lay down on the sofa and put your feet up for a few! Sleep in in the mornings. Or, if you have to get up and get the kids off to school, go back to bed as soon as you can. Some important rebuilding goes on between 7 & 9am. The more you can let your body sleep when it wants to, the faster it will be able to restore itself to a point where you don't NEED to sleep at inconvenient times. Be protective of your bedtime. Plan to be in bed no later than between 9 and 9:45pm, and stick to it. Sleep is CRUCIAL to adrenal repair. You need to be as regular as you can be with your sleep cycle while you are are in your intensive rebuilding phase. Cortisol is one of your adrenal glands' stress-response hormones. Lack of sleep, or lack of good-quality sleep, affects the release of cortisol into your system, but not in the way you probably think. We would assume that if our glands were tired, their production levels would drop, right? However, Sleep deprivation causes your body to release MORE cortisol, for longer periods of time. Ordinarily, your body has a cycle of cortisol release, with levels being highest in the mornings, and decreasing by evening. Your body will also release extra cortisol throughout the day as a response to emotional or physical stress. Too much cortisol in your system in the evenings keeps you from sleeping deeply, causing you to wake frequently overnight and wake in the morning unrefreshed. This leads to a vicious cycle, as lack of deep-cycle sleep is itself a stress to your body, causing it to release more cortisol which keeps you from getting the kind of rest that's going to stop the cycle! That brings us to melatonin. Melatonin and cortisol counterbalance each other in the circadian rhythm, cortisol being highest in the morning to wake you up and get you going, and melatonin being highest in the evening to help you wind down and fall asleep. Unfortunately, it is very easy for us to unknowingly suppress our body's production of melatonin, allowing cortisol to remain dominant. Melatonin production is triggered in your body by the amount and type of light entering your eyes. Bright sunlight is very high in blue light waves, waking us up, and shutting down our melatonin production for the day. Getting 15 minutes of exposure (without sunglasses) first thing in the morning helps to signal the pineal gland to stop producing melatonin and let cortisol rise. The deeper, warmer reds and oranges of late afternoon and sunset help to signal the start of production of melatonin in the evening. Here's the kicker: as we try to get more energy-efficient with our home lighting, switching to LED and compact fluorescent bulbs, as well as cool white or full-spectrum incandescents, we are saturating our living areas with lights that fall more on the blue end of the spectrum, keeping our melatonin production shut off. While these lights make it a lot easier to see things, they make it hard to prepare for bedtime. The other major source of blue light that is even worse because it is usually held at close range and being directly aimed into your eyes, is all of the LED screens in our lives. Computers, tablets, backlit e-readers, phones, and TVs are all high in blue light waves. When we use these things to wind down in the evening, we are actually prohibiting the production of melatonin, so when we go to bed, we can't fall asleep. The first thing you have got to do is start listening to your body's signals, and stop ignoring the times it wants to sleep. Stop feeling guilty for being "lazy"
and resist the urge to stay up late just because you have a "second wind". That second wind is actually an inverted cortisol cycle, peaking in the evenings instead of in the morning. 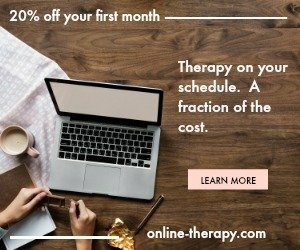 It helps to start out by going with the flow, and sleeping in and/or napping whenever your body is asking to, because that helps to diffuse the vicious cycle, and make up for any sleep deficit. Allowing your body to sleep when it wants also gives you the deeper sleep cycles you need to help restore your adrenals, and reduces the cortisol releases that are caused by sleep-deprivation stress. This, in turn, helps reduce the overall cortisol levels in your system at bedtime, making it easier to sleep overnight. Don't worry about developing a bad sleep schedule. You are not a healthy infant needing to be trained, you are in a compromised health situation and sleep is vital to your recovery. Listen to your body. That said, if you have an inverted cortisol cycle, there are some things you can do to help reset your circadian rhythm and fall asleep earlier by removing the barriers to melatonin production. Have at least one lamp in each room that has a "warm white" incandescent bulb, or other blue-blocking lightbulb to reduce exposure to blue light waves. Turn overhead and other bright lights off or down in the evenings to reduce light levels in the house and start signaling melatonin production. Turn off all computers, tablets, backlit e-readers, phones and televisions 1-2 hours before bedtime. Try blue-blocking glasses if you MUST work on the computer in the evenings. The yellow lenses work the best, but you can also get lenses that are almost clear that still do a decent job of blocking blue light. Speaking of nightlights, use yellow or red bulbs to allow you to see your way to the bathroom and still fall right back asleep afterwards. I'm not kidding, even that little bit makes a difference. Magnesium-an important part of adrenal fatigue recovery, it is also a muscle relaxant, so taking this close to bedtime can help you relax and fall asleep. GABA-non-addictive, this "inhibitory neurotransmitter" can help quiet your brain without making you drowsy. Often found in a combo formula that includes other components that may help you relax and fall asleep faster. Forcing ourselves to get up earlier than our bodies want to starts the whole day off on the wrong foot. With adrenal fatigue, we usually find that our most restful sleep comes between 6-9am, right around the time we have to be getting up to get ready for work, or send the kids off to school. So, we force ourselves to get up, stressing our adrenals and causing our first stress-induced cortisol release of the morning. We get a cup of coffee to help us wake up. Stress number 2. --simple carbohydrates that will turn to sugar quickly to get us going, triggering the cortisol release to help balance blood sugar and insulin levels. Stress number 3. About 10am, we have the blood-sugar crash that we set ourselves up for at breakfast, so we take a coffee break, where we have yet more caffeine and breads to tide us over until lunch. More of the blood-sugar roller-coaster stress. After lunch, we really want to take a nap, but that seems so lazy! Who takes a nap in the middle of the day?!?!? So we push through our body's call for sleep, requiring yet another stress-hormone release. We force ourselves to work, even though our brains are blurry, nearly delirious for a while. We throw something easy together for dinner, or drive thru and pick it up on the way home, because we don't have the energy to make anything that takes any effort. We can't wait for bedtime! ...we lay down and can't relax. Our heart is still racing, our minds are racing, and we can't settle down and get to sleep, even though we KNOW we're tired! We've been dragging all afternoon! We lay there for 2, maybe 3 hours, flipping and flopping and unable to unwind, because we've still got elevated cortisol levels. Now we're getting anxious because it's 12:30am, we're not asleep yet, and we have to get up again soon! This is our chance to be sleeping, and we're MISSING IT!!! !